Home Dating Dating While Unemployed: How’s That Going? Dating While Unemployed: How’s That Going? Dating while unemployed has got to be hard, maybe even scary. After all, ‘What kind of work do you do?’ is one of the ice breakers when you meet someone for the first time. Some people are afraid of what others may think about dating a man with no money but don’t let them worry you. When it comes to dating someone new, an unemployed man in a relationship is virtually taboo. In fact, it is top of the list of deal breakers for most people. So, for the ones without a job, you’re probably hesitant to answer that question. However, your job title still doesn’t guarantee you a date, according to Adam LoDolce and he’s a dating coach. Adam suggests instead of talking about what you don’t have, talk about what you’re passionate about. Realistically, being unemployed these days doesn’t have to be your fault with worldwide plant layoffs and store closings. What do you do in your spare times? Do you have any profitable hobbies? Where would you be if you weren’t here? Most men don’t feel comfortable even talking to a girl without having the means to take her out. Dating an unemployed woman happens more regularly and is probably more acceptable. But you shouldn’t let being temporarily unemployed get you down. 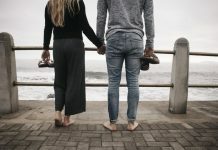 To help lift the pressure off those awkward moments, I found these tips to be most useful when dating while unemployed. Your joblessness is only a temporary setback and it could not even be a setback, but an opportunity for great things to happen. While you’re waiting for a breakthrough, have fun, but remember, to budget your cash outgo. Do as many free things as possible when dating while unemployed. A date doesn’t have to cost a lot. If you can cook, invite your date over for breakfast on the patio or a smoothie. Spaghetti and breadsticks for dinner are favorites and it’s cheap to make. Hit a street vendor up and have a picnic in the park. Go bike riding or take a walk on the beach. Hit up any of the spots with lunch specials such as the 2 for $20 at Chili’s on the second date. While you have this free time, take a look at what you wanted to do as a child. Is it possible you can do it now or at least, get in on the ground floor? You know, more people are starting their own businesses these days. Maybe it’s time to go back to school to learn more about your area of expertise so you can earn more or become the entrepreneur you were born to be. Dating while broke can be stressful. Keep the stress levels down by keeping it real with your date. Let them know what this time means to you. Your honesty could be what attracts and holds their interest. Since ancient times it’s believed that men were the breadwinners in the family. Women look to them for financial support as well as emotional. When the situation is reversed, it can create tension between a man and a woman. The truth of the matter is more people between the ages 18-34 are living at home with their parents. Yep, these people are dating while unemployed but want to find a long-term relationship. Somehow they have missed the boat. To break it down, over 22 million men and women living in America are having financial difficulties. Would you be shocked to find out the numbers are higher in Canada? We’re talking about 34-42% of the people without homes of their own. So, before you judge a person for dating a guy who is not working, remember, you could be eating rice three times a day. There are plenty of dedicated and hard workers looking for jobs. These are people who were financially stable at one point and hit hard times for various reasons. The bottom line is when expecting the man to bring home the bacon, the woman may have to bring the pan. If you’re in it for fun, then okay… there aren’t many expectations. On the other hand, if you’re wanting a long-term relationship, you may want to find out if the job hunt is perpetual. Dating a guy without a job is one thing, but taking care of a deadbeat is another. The walk on the beach may be romantic and all, but there comes a time when a girl wants steak and lobster and it would be nice if somebody other than she pays for it. Having said that, the best of luck to you both. I hope you find the job of your dreams. If not, then become the CEO. Next articleIt’s Time to Break Up: Read the Signs!